Having been away over the weekend I’m overdue with analysis of the two Ironman races that took place. 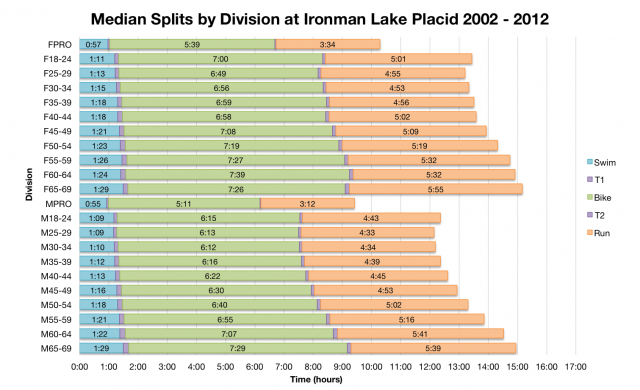 So to kick things off I’ll examine the result from Ironman Lake Placid and see how it compares with previous years. Andy Potts led from the start, but won in a time 18 minutes slower than his victory the year before. The age group ranks present a different picture – without the tactics of the professional race overall finish times are largely as expected from this race. 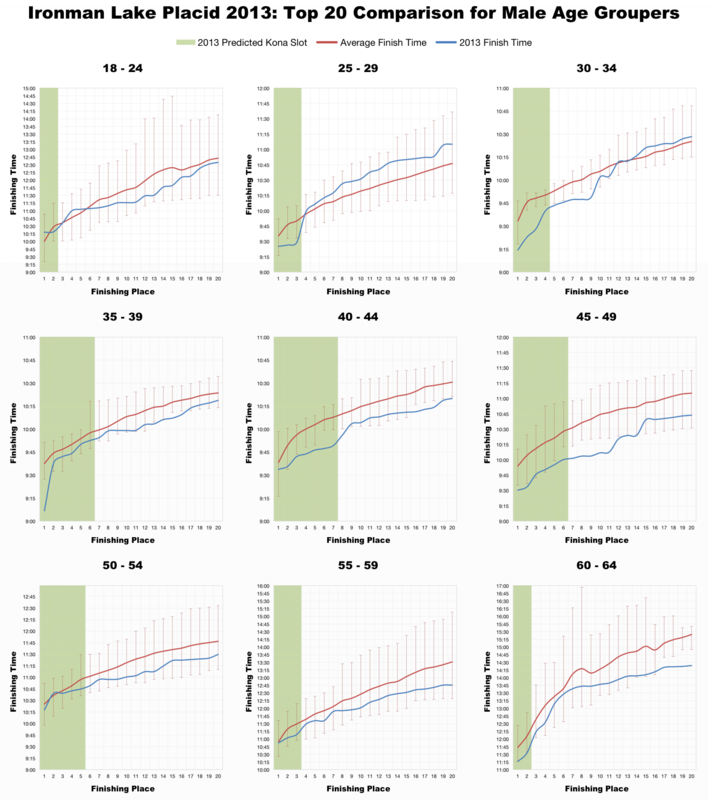 Comparing the finisher splits from this year’s race with the past it’s clear that while there are differences in individual disciplines the overall results aren’t that far off. 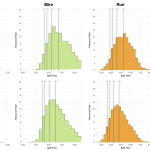 If anything despite skews towards slower swim, bike and run distributions the overall finish times appear weighted fractionally faster. The biggest difference of note comes in the swim where the distribution is clearly slower than in previous years. The median splits give a mixed message. For most divisions the swim times are slower although not to a level that should be considered too significant. 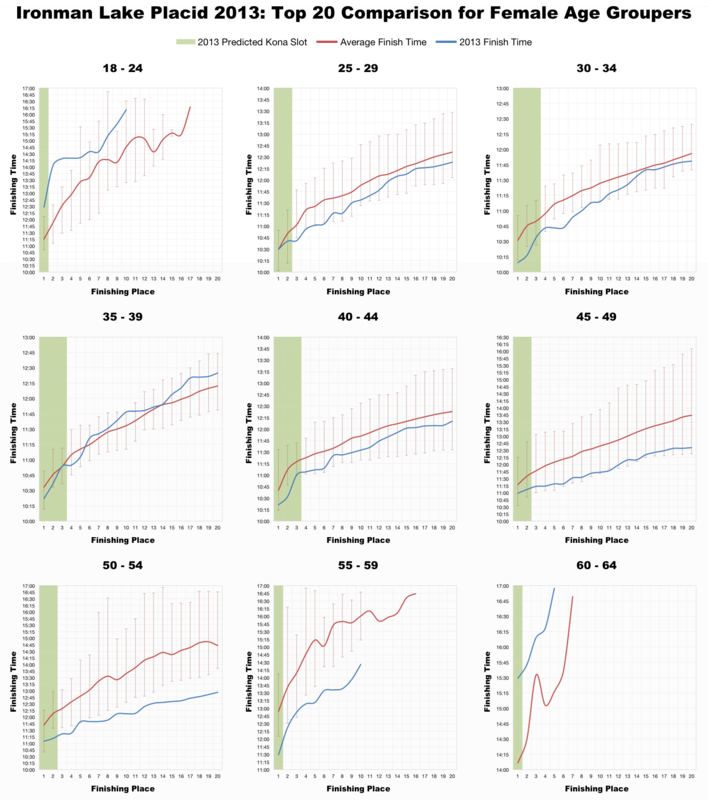 Bike times are far more variable: women and younger men mostly slower, older men faster. The differences in median run times vary across the categories. However in the pro ranks median splits are similar or better than in previous years. This was the second use of the SwimSmart rolling start. 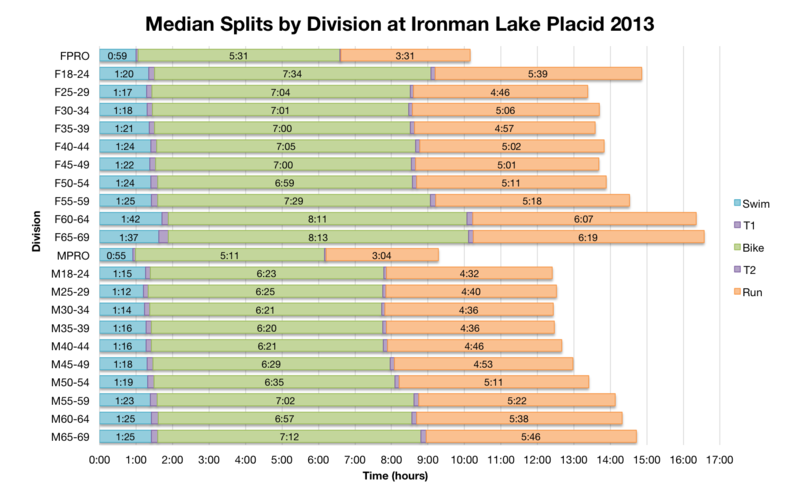 Lake Placid’s swim appears to have been slower than expected, while Coeur d’Alene was faster. How much the adjustment to the start influenced this, the dynamics of the bike and ultimately the run is another question. 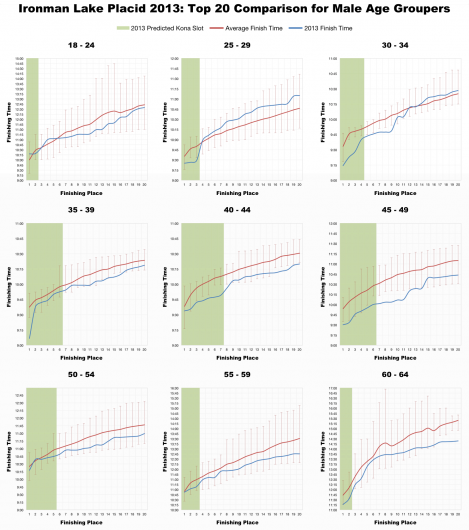 Did the rolling start reduce congestion – and hence the level of drafting – on the bike? Unfortunately without access to precise start times for all the athletes it’s impossible to analyse the impact it had on the race. The front-of-pack age group is clearly faster this year. 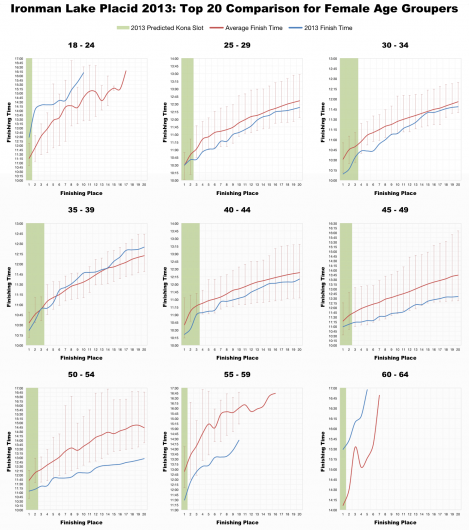 So while the distribution of results and their medians may differ, at the sharp end of the race times have improved in the majority of age groups. Generally they remain within the bounds of previous results, but to qualify your performance needed to be better than the average. Again it would be interesting to be able to examine the start times for these athletes and perhaps see if the rolling start offered them a better race. While the front-of-pack went a little faster there appear to have been more athletes with marginally slower splits than expected. It’s hard to say whether this was due to conditions, a new kind of start or simply the diversity of athletes who’d entered. All three likely played a roll. 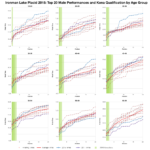 For would be Kona qualifiers faster times were required across the board. I’ve uploaded a spreadsheet version of the Ironman Lake Placid 2013 results and splits to Google Drive.